The Zimbabwe Electoral Commission will conduct by-elections in Chirumanzu-Zibagwe and Mt Darwin West constituencies at the end of next month using its newly compiled voters roll. Previously, the Registrar-Generalâs Office used to administer the voters roll. But according to the new Constitution on Section 239 (d), ZEC is mandated to compile the voters roll and registers. As such, the electoral commission has since embarked on a pilot voter inspection and registration exercise in the two constituencies as well as Chinhoyi Municipality Ward 15. The exercise was conducted from January 26 to February 10. Appearing before the Parliamentary Portfolio Committee on Justice, Legal and Parliamentary Affairs yesterday, ZEC chairperson, Justice Rita Makarau, said if the pilot project succeeded, the commission would go full throttle on a nationwide registration exercise. Harare West legislator, Ms Jessie Majome (MDC-T) chairs the committee. 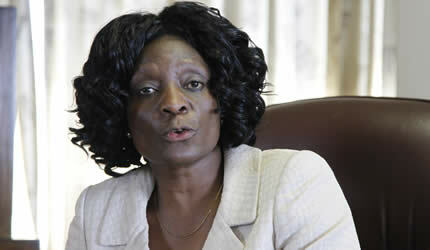 Ms Majome asked if ZEC was in exclusive control of the voters roll as enshrined in the Constitution. âThis exclusive control is given to us by the law and we are just following the law,â said Justice Makarau. âWe have done the voter registration exercise ourselves, we are analysing the data. We will come up with our own voters roll in whatever state it will be for these two by-elections and let all of you be the judges of whether we are doing a better job or not. Zanu-PF MP for Goromonzi South, Cde Petronella Kagonye, inquired what mechanisms ZEC was putting in place to ensure the voters roll was easily accessible since it was supposed to be a public document. âThe one that we are compiling will be readily available to the public. We will make it available in whatever form the law demands that it be available. âWe will give out electronic copies of that voters roll to the public; we will give you hard copies if you ask for it and you pay the fee for it. Whatever the law says we should do, we will definitely do that on the voters roll that we are compiling. I just want to make that very clear, the one that we have started compiling,â she said. Justice Makarau revealed that while the commission requested about $2,143 million for conducting polls in the two constituencies and local authority by-election in Chinhoyi, Treasury approved and disbursed $1,473 million with the variance due to reduction of daily election allowance rate from $55 to $40. Cde Kagonye raised concern on the use of registration slips during the by-elections saying they had raised eyebrows at the July 31, 2013 harmonised elections as some voters were said to have used the same to cast their ballot several times. But Justice Makarau said the indelible ink made it difficult for the electorate to double vote.